Fantastic news, and a lot blooming cheaper than Sisley 😉 I really want the rhubarb one. This stuff is tops! Its always in my bag. Yay! I have really wanted to try these after seeing all the positive reviews. I am glad Boots are stocking more niche brands. Would you know if one of those top Boots stores is in Nottingham? Believe or not even though Boots Headquarters are in Nottingham we don’t always get the latest stuff. YESSSSSSSSSSSSSSSSSSSSSSS!!! *fist pump in the air* queue knee sliding and knee carpet burn from me! I am mega excited, have been wanting to get this for a century and a half! YEAAAH! Woo Hooooooooooo!! *does happy dance* Great news! I wonder if this means it’ll also eventually carry over to the Boots displays we have at our Target stores here in the States? 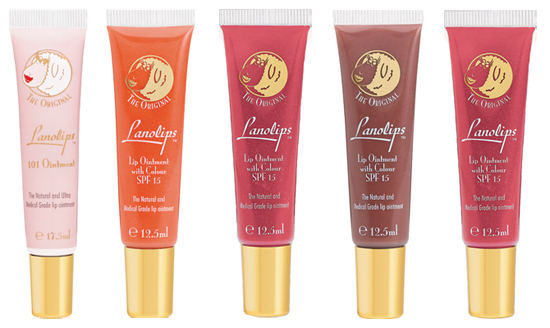 I would LOVE to have access to Lanolips over here because lanolin products are the only things that keep my lips from becoming a barren, miserable wasteland in winter and good ones are hard to find (and I’ve never found one that was tinted). Maybe I can bribe one of you to send me a few…? Yay! And these have SPF too!